These two workbooks show various formulas that are used when dealing with transmission lines. T-Line Model.xls shows the details of the mathematical model for transmission lines that is used by the Zplots and TLDetails applications. T-Line Measure.xls shows how the characteristic impedance Zo and the propagation constant γ (gamma) may be obtained from two basic impedance measurements, one with the transmission line terminated with an open circuit and a second with a short circuit termination. The math behind using open/short measurements to determine transmission line characteristics is described in section 7.5, pp. 134-136, of the Chipman text (Robert A. Chipman, Theory and Problems of Transmission Lines, 1968). You can read those three pages here. Also, W8WWV wrote up some thoughts on this technique. Both workbooks make use of the Excel complex number functions. 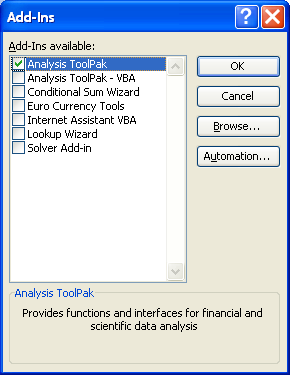 Under Excel 2003 and earlier, click on Tools > Add-Ins and make sure "Analysis ToolPak" is checked. Under Excel 2007 and later no special action is needed. Download T-Line Model.xls and/or T-Line Measure.xls. Free. Neither of these workbooks contain macros. They may be used with Open Office Calc.